Day trips are a great, accessible travel hack for anyone in or traveling to a major city who wants to get to know a region in a deeper way. 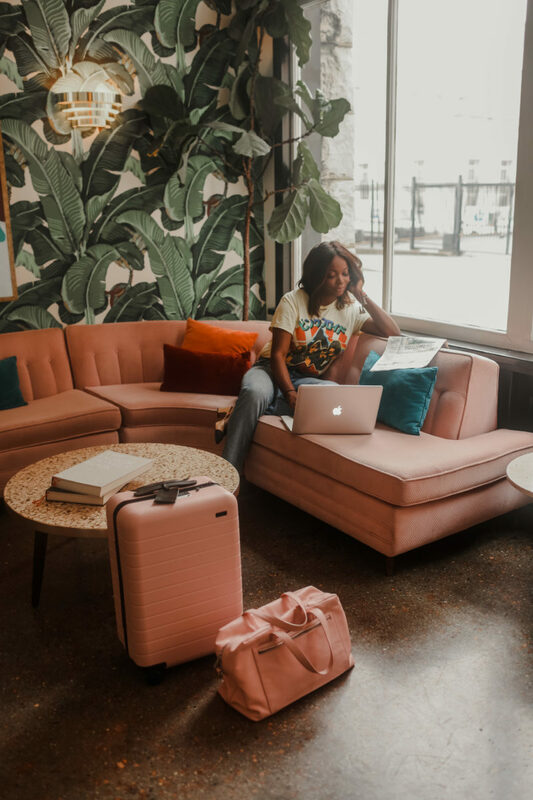 Coco Bassey, a creative content producer with a corporate day job, spends nights and weekends exploring the things that inspire her most: fashion and travel. 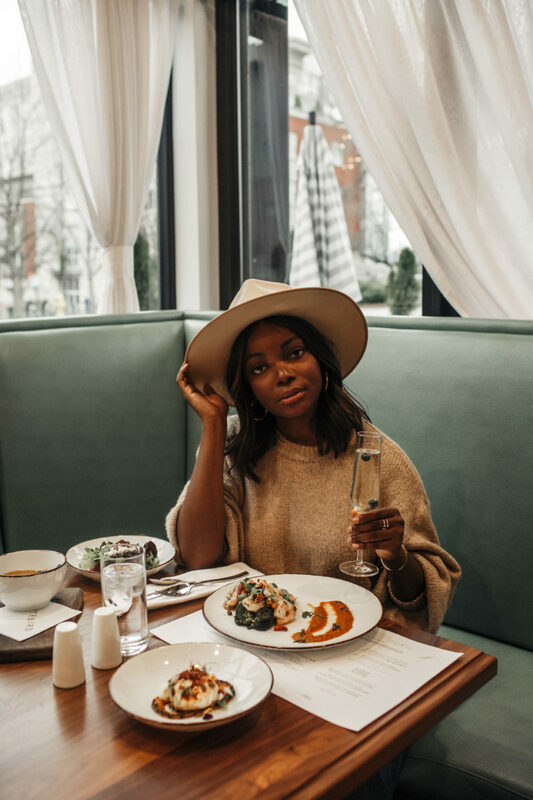 She took a day trip from Atlanta to Chattanooga and shared her itinerary with us below. I’m not a fan of driving through traffic, but put me in a car on an open road, and I’m a happy girl! Even though I love hopping on a flight to explore cities that are far away, road trips like these always give me a deeper appreciation for what I have right around me. When it comes to road trips, it’s okay to go off-script from your travel itinerary. The beauty of having a car means that you are free to make as many stops as you want along the way to check out places that you happen to stumble across while driving. Admittedly, this was my first visit to Tennessee, and I was pleasantly surprised. I loved how modern and charming Chattanooga turned out to be, and seeing as it’s less than 2 hours away from home, I can’t wait to go back soon. It was a really nice way to get away from the city. 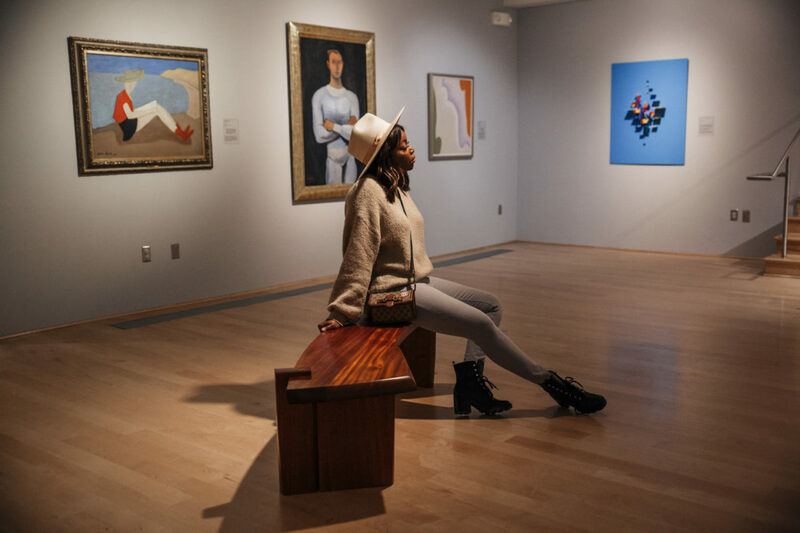 Chattanooga has a good mix of culture, from music to hotels and restaurants—truly an under-the-radar gem—but small enough that it’s still pretty easy to get around. 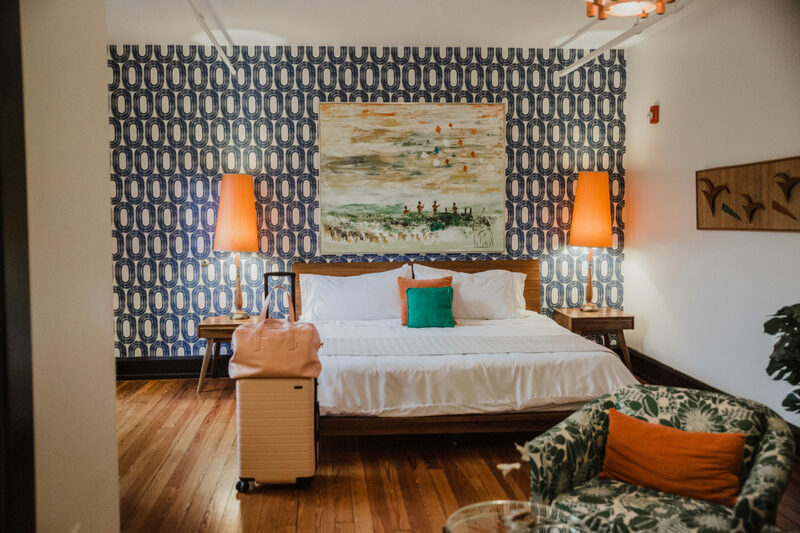 The Dwell Hotel was definitely one of the nicest boutique hotels I've ever been to. I loved all of the interior detail that was so thoughtfully curated. Quick view of my room for the weekend. I love all the splashes of color. I need these couches in my home! Our room at the Dwell Hotel was furnished with a fireplace too. 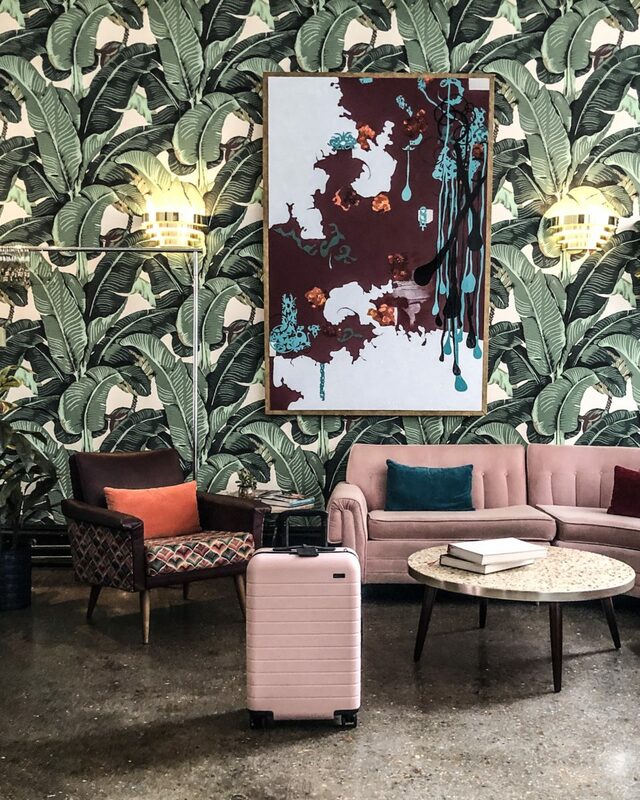 I never travel without my Away luggage... but it matches the Dwell Hotel so well, that I was almost tempted to leave my Blush Carry-On there! Our “home” for the weekend! 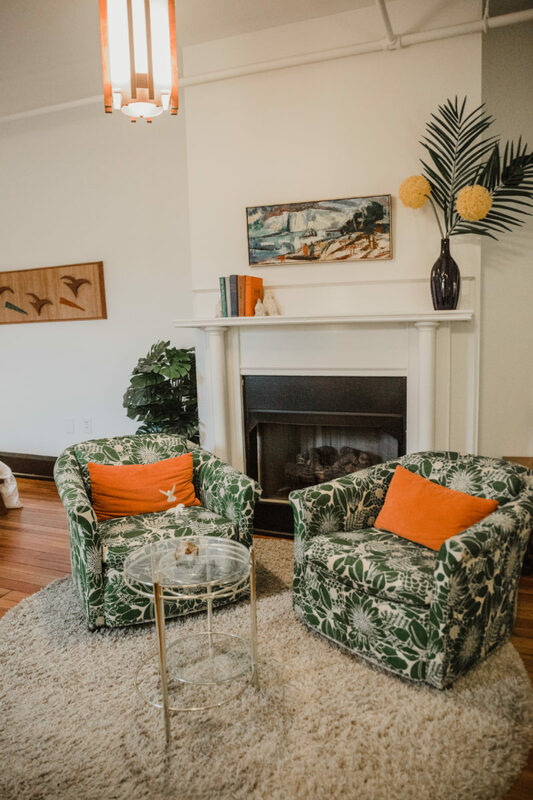 When researching places to stay, I totally fell in love with the eclectic interior decor. The hotel is the perfect mix of retro and modern style, and we loved the cocktail menu at Matilda Midnight, the hotel bar. A rainy day out in Chattanooga made for the perfect day in, for lunch at Whitebird. Lunch at Whitebird was such a treat for my tastebuds and eyes! 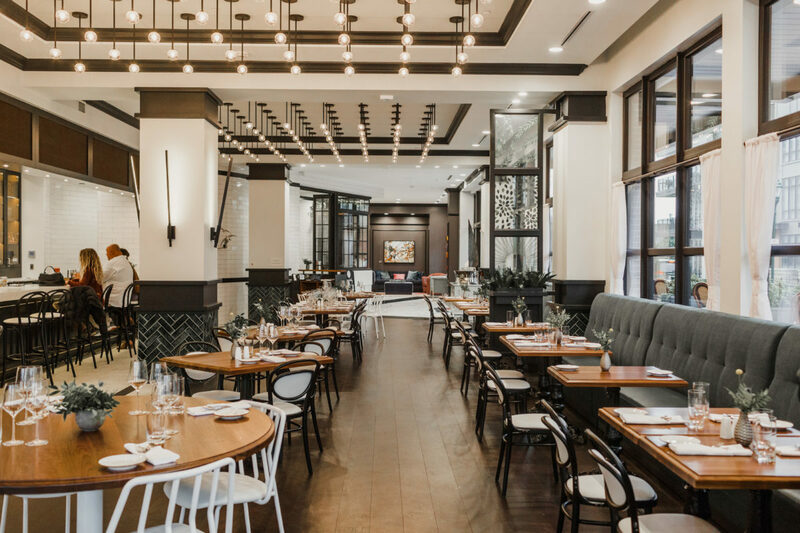 How gorgeous are the interiors at Whitebird? I loved the natural lighting and cozy seating. We popped in to this Appalachian-inspired food spot for lunch. The burrata was amazing! The ambience was incredible too. 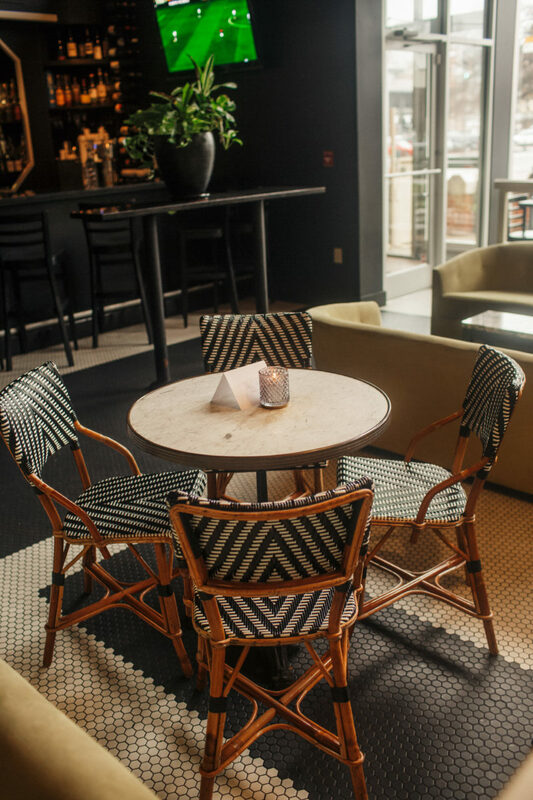 It’s the perfect lunch spot, right in the heart of downtown Chattanooga. It’s very modern with huge windows, so it was really light and airy with rich forest green furniture. The food was plated beautifully as well. 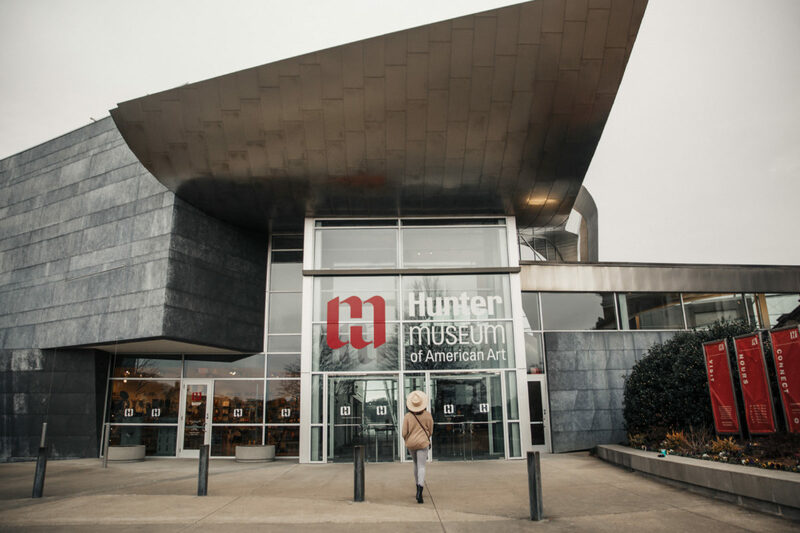 Heading into the Hunter Museum to check out some modern American Art. It was a little rainy during our stay in Chattanooga, so it was the perfect excuse for a day at the museum. We spent around two hours total exploring. 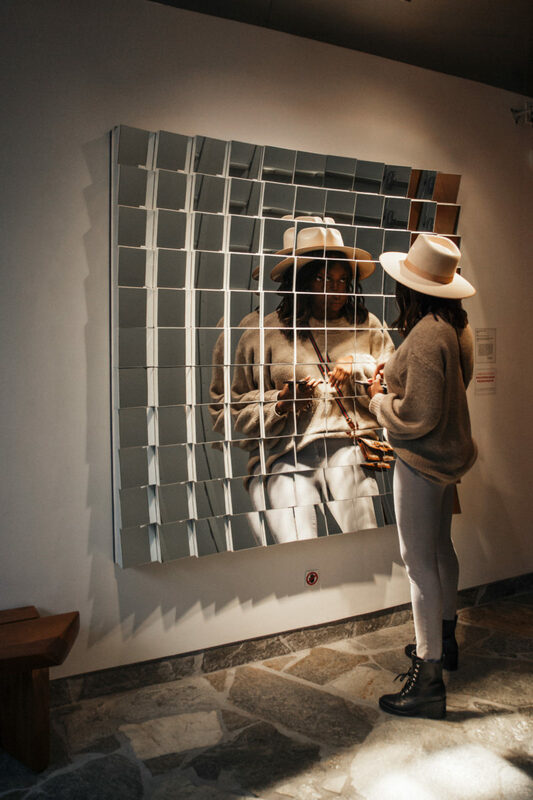 I loved Bath Lipman’s exhibition, “Everything Matters and Nothing Matters.” It’s a collection of intricate castings made of glass, and it’s some of the most beautiful sculpture work I’ve ever seen. Morning cappucino at Rembrandt's Coffee House. 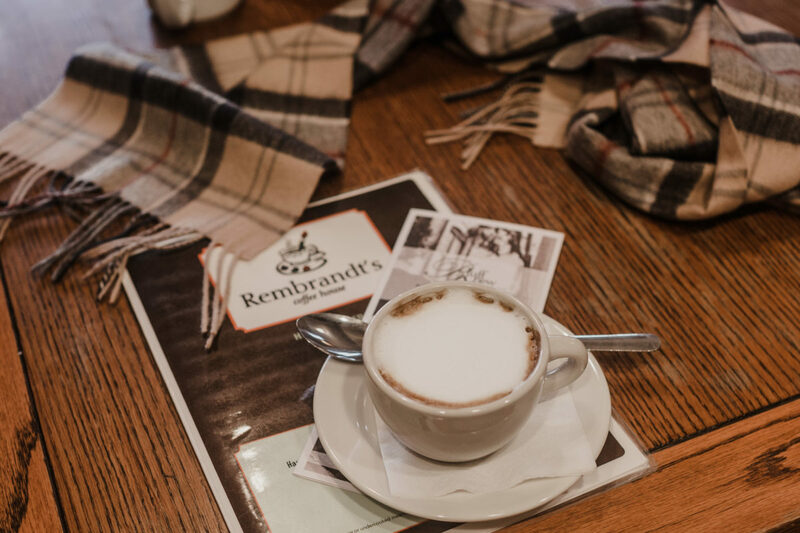 One of our many stops at Rembrandt's Coffee House during the weekend. A girl needs her coffee! 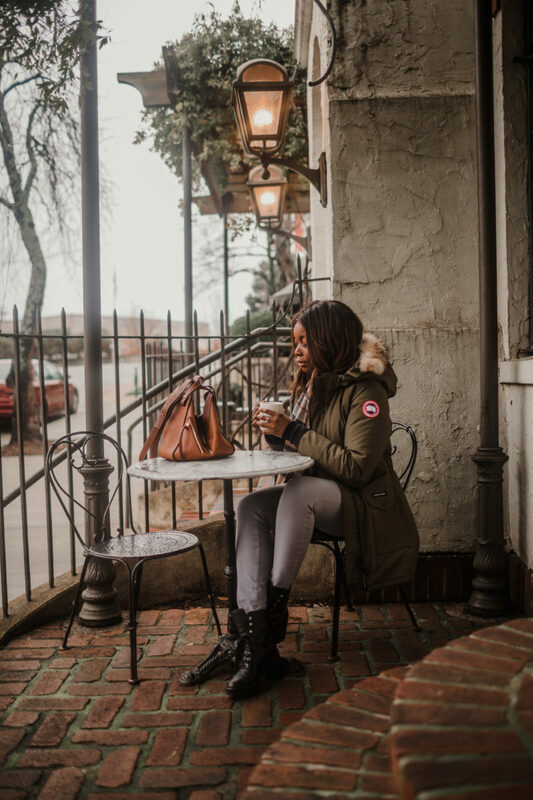 This place was perfect for a quick midday coffee break! In addition to their great coffee, they also have a great selection of European-style pastries. My favorite! We went here a couple of times actually—it’s very close to the museum and our lunch spot. 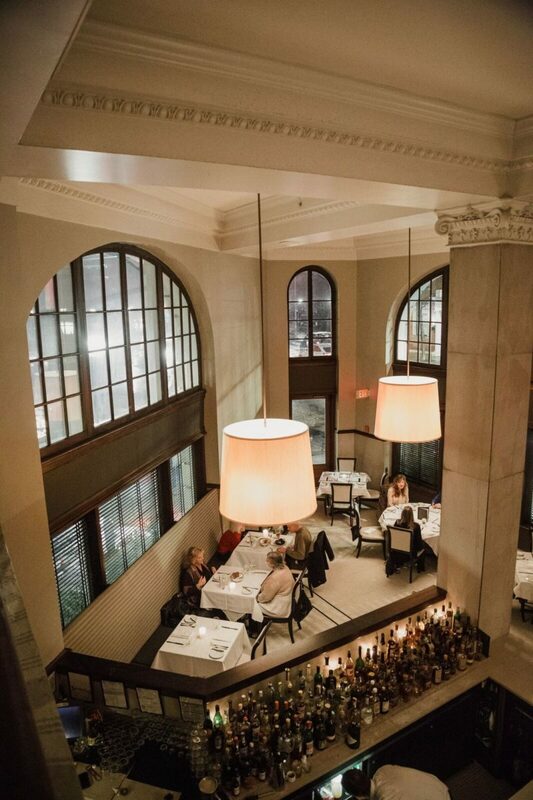 Dinner at St. Johns was amazing. We loved the scallops! View from the second story dining area. We stopped here for dinner. 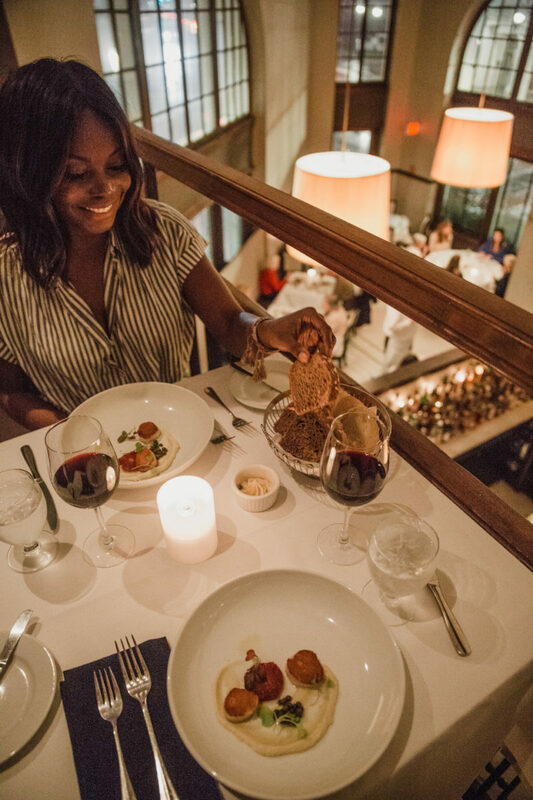 In addition to the great food—especially the scallops—I loved the romantic, upscale vibe of the restaurant. Our host was so nice too, and he offered some great recommendations for wine pairings. 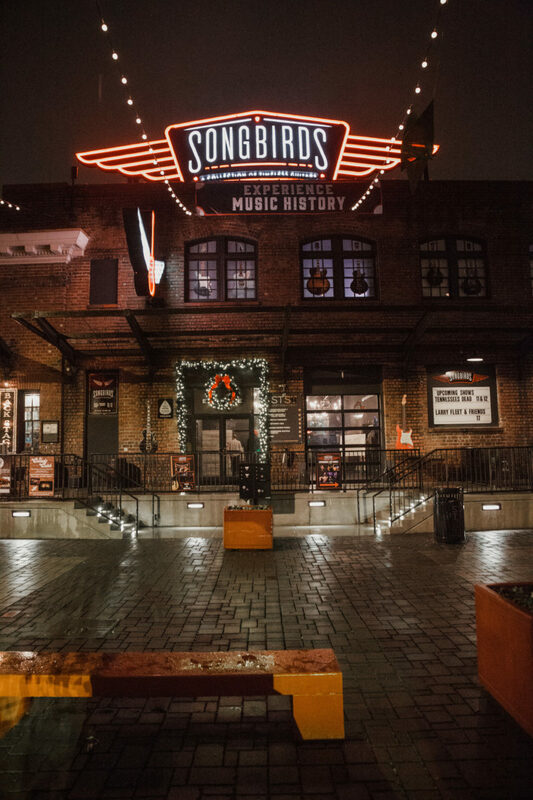 Songbirds is an old guitar museum with a music venue attached and multiple live shows each week. Tennessee's Dead, live at Songbirds. Songbirds was so much fun, and the perfect way to wind-down from a busy day out and about. 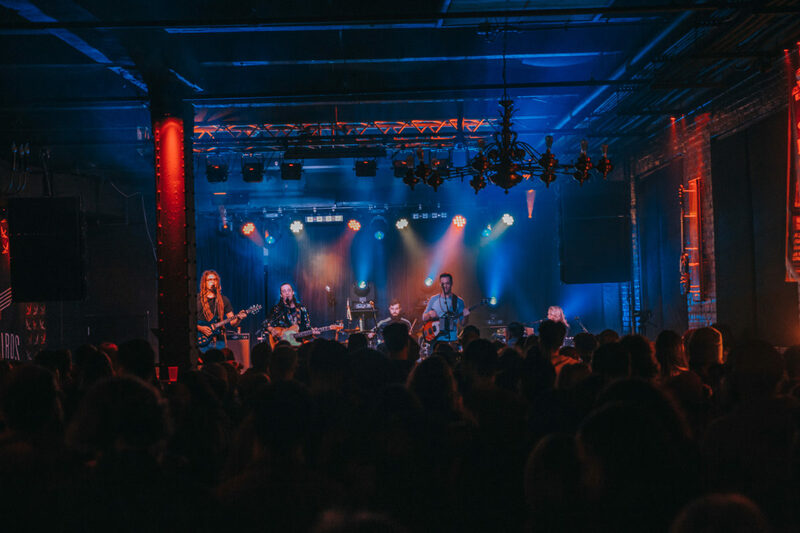 There’s no place like Tennessee when it comes to enjoying the live music scene! Tennessee’s Dead played at Songbirds the night we were there, and they were really great. 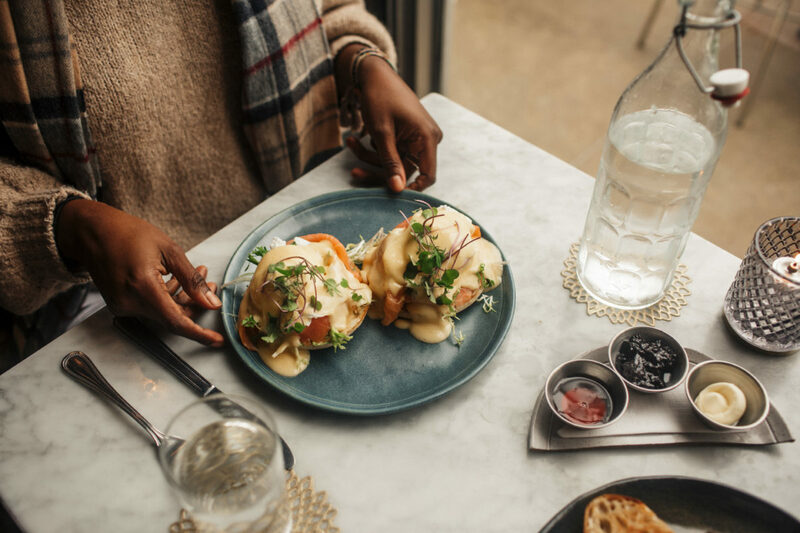 Salmon Benedict is one of my go-tos for brunch, and Easy Bistro & Bar does it right! Some interior details from Easy Bistro & Bar. 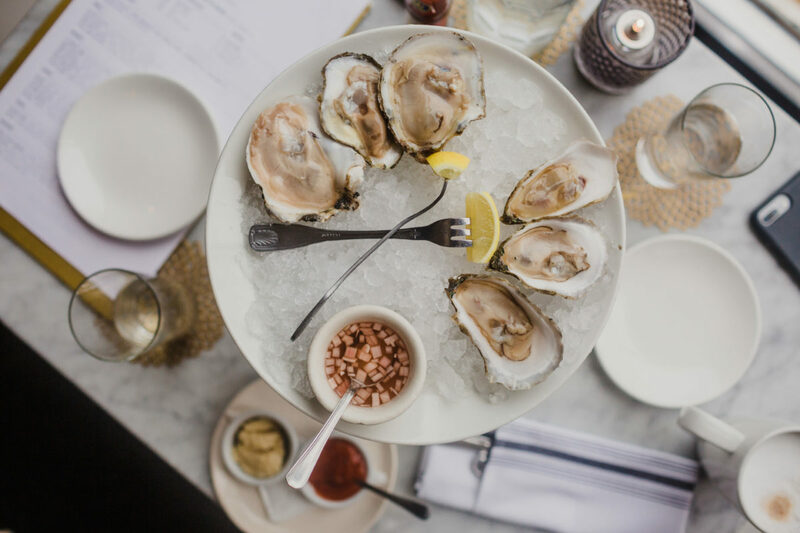 Oysters for brunch! Everything at Easy Bistro & Bar was delicious. On our way out of town, we stopped at super cute brunch spot, Easy Bistro & Bar. They had a delicious salmon benedict, and we enjoyed the oyster platter as well. 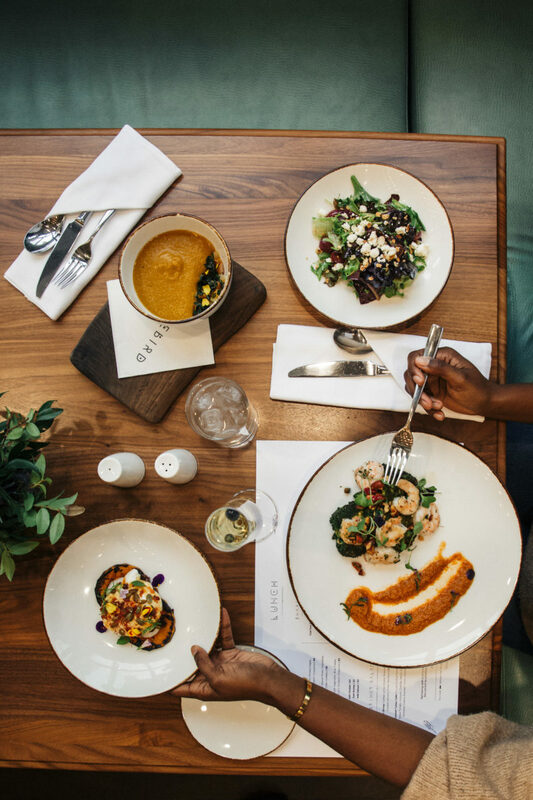 The french-inspired restaurant is inside a renovated bottling plant, making for a very rustic, chill vibe. 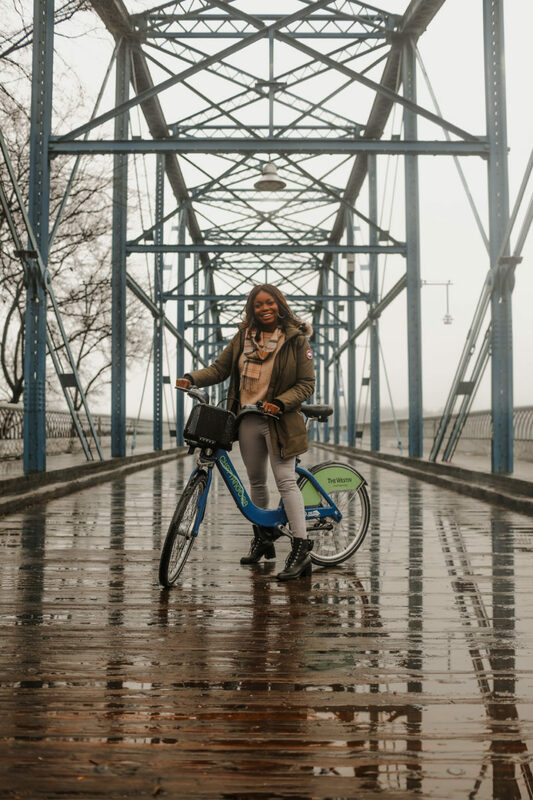 It was a rainy weekend, but we were still able to enjoy a bike ride down the Chattanooga Riverwalk.